Gina Tricot Grand Prix 2018 » Equisport | Ridsport på webben. 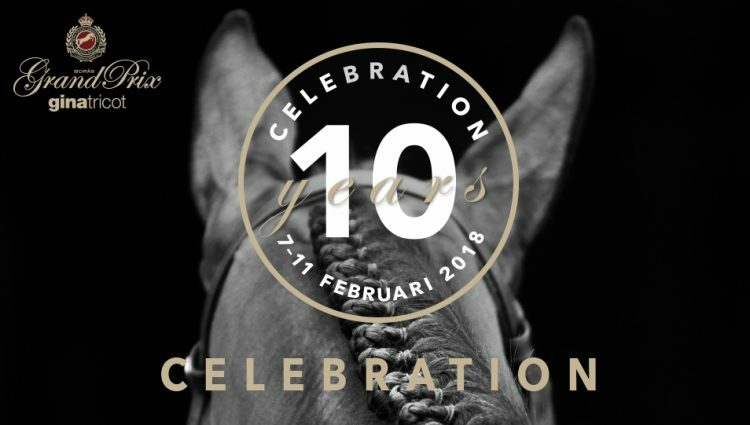 7-11 February 2018 owns Ginatricot Grand Prix place for the tenth consecutive year, which of course will be celebrated properly. During the theme Celebration we raise everything a bit extra, not least the prize pool as 2018 will reach more than 1.7 million kronor. For it will Celebration Million, which is awarded if a rider wins both Friday’s and Sunday’s jumping 1.50 Ginatricot Grand Prix Masters 1.55. We will specifically invite top-ranking Swedish and Nordic female riders to make up their own class. Last year’s success with the sponsors team jumping is obviously included in the program as well as the dressage that nobody wants to miss.